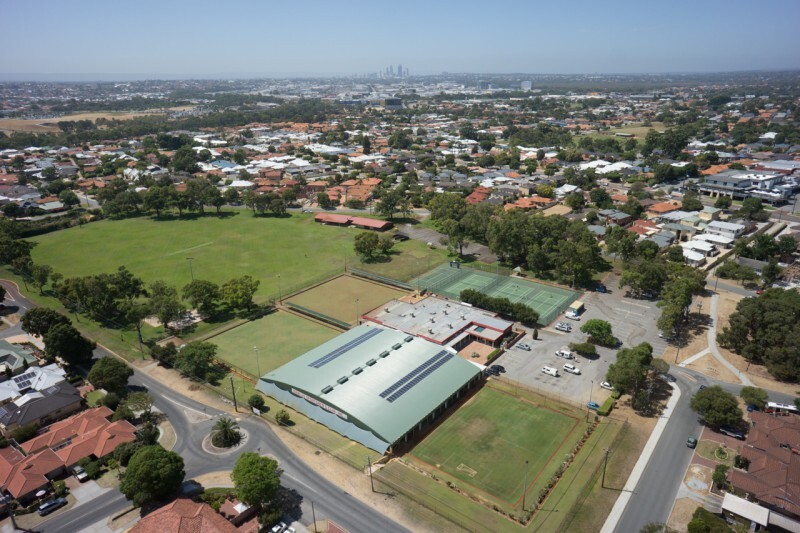 Like most bowling clubs in WA, the steady daytime refrigeration and lighting electricity load made Innaloo Sportsmen’s Club an ideal candidate to benefit from the daytime production of solar PV electricity. The club was one of the first in WA to install an outdoor covered structure to allow their members to bowl all year round. This structure helped enormously when it came to the installation of the solar panels. Ample roof space with an East/West orientation and a low pitch allowed for an easy installation which is aesthetically pleasing. The split East/West orientated design allows for a steady solar PV production throughout the day which fitted well with the consumption pattern at the club. The approximate $1,100 per month savings attained in the first few months after installation, combined with the energy reduction of 125/kWh per day are in line with the projected savings provided by Solargain. “At this stage after 3 months with solar panels we are very pleased that they are performing to the anticipated result as per presentation from Solargain.